It’s fun to move to a new place, full of promise and possibility! You can decorate your new place however you like and, best of all, you can get rid of clutter. Because it’s just human nature: Most of us accumulate stuff in our closets, attics, storage units, and kitchen cabinets. Moving gives us a great opportunity to pass on those unused items to a new home so we can start fresh in our new place. And maybe you can make a few bucks at your moving sale, too! Here are a few tips to get you started on your moving sale. Whether you’re downsizing or just trying to get a fresh look in your new place, getting rid of your belongings requires a bit of ruthlessness. Choose a day when you’re feeling ready to part with material possessions. If you start feeling sentimental, try taking a picture of the item instead of keeping the whole thing. Set aside space in a room you don’t use much to keep down the clutter and reduce the chance of “rescuing” discards. Do a little research for pricier items like furniture and electronics and see what they’re going for in your area. Everything should be priced to sell—you don’t want to carry lots of leftovers to the thrift store. Small price stickers on each item really encourage buyers at your moving sale. And stop at the bank to get some change: small bills, quarters and dimes will come in handy. If you have a homeowner’s association, check to see if you need permission or a permit for your moving sale. Ask if there are any restrictions on times or equipment. Make it look good! Borrow as many tables as you can and spread items out for an eye-catching display. Make sure all items are clean and in good working order. Run an extension cord outside so buyers can test electrical appliances. No one wants a broken toaster! Ask friends to help promote, sell and keep an eye on your moving sale. Ask them to bring along extra folding tables and leftover grocery bags—there are never enough! And remember, helpers get free pizza. There are lots of ways to spread the word about your moving sale, including advertising in the local newspaper, social media, community calendars, your neighborhood newsletter and even Craigslist. On the morning you’ve set up your yard sale, take some photos to post on Facebook encouraging your friends to stop by. Post some “teasers” of a few items in the week leading up to the sale. Where to promote your Moving Sale in Wilmington NC? Potential shoppers will check listings at WilmingtonYardSales.com, too. Facebook has several yard sale groups where you can advertise your moving sale or items you want to sell separately. The biggest, with 14,000 members, is Wilmington Yard Sales, but you can also try Wilmington NC Online Yard Sale, Wilmington NC Yard Sale, and another group also known as Wilmington Yard Sales. Ask nearby businesses/neighbors/friends if you can post flyers or and put up signs on nearby roads the day of and days before the moving sale. A few balloons at the street tell buyers they’ve arrived. 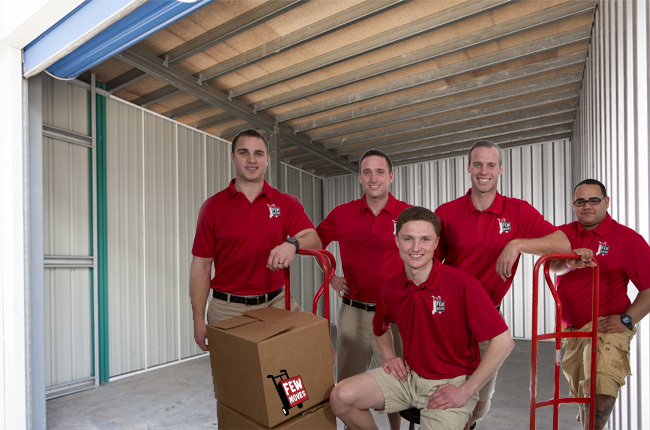 Few Moves Moving Company in Wilmington and Raleigh, NC is standing by to help when you’re ready to move. For assistance in packing, moving, storage across town or across the Country, call our clean cut professional movers based in Raleigh and Wilmington NC. Call our Raleigh office at (919) 999-6201 or our Wilmington office at (910) 512-6999 or request a free quote online today to find out what Few Moves can do for you!